Black Sable Oil painting brush. Standard sizes No. 3/0 to No. 30. Rounds for detail and precision work. Russian black sable, also known as high quality Russian fitch hair, lies directly between artist Chungking bristle and the finest Kolinsky red sable, but still gives the painter the benefits of red sable; its stiffness allows for bristlelike strokes, only smoother without marking the paint layers. 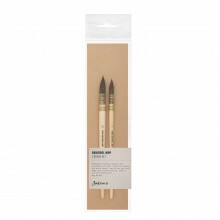 In larger sizes black sable brushes have great colour carrying capacity. 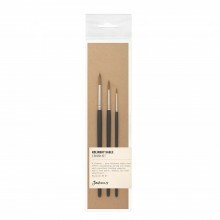 Excellent for delicate blending and smoothing out ridges, it is a favourite among portrait and realist painters. 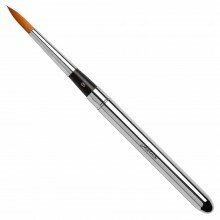 It is the most stable oil painting brush in the whole assortment.